As if the complete — and inevitable — collapse of Venezuela’s disastrous socialist experiment were not bad enough, the long-suffering population there is now five days into a near-total collapse of its electric grid. People are increasingly desperate for the most basic necessities of life, most especially water. They are jostling to fill containers from the filthy, contaminated water coming out of a leaking pipeline along the Guaire River. Those needing regular or urgent hospital or medical care are simply out of luck and dying. Food, what little of it there is, is spoiling. Cell phones don’t work. Vehicles sit where they ran out of gas, while others limp or are pushed into the few remaining gas stations with their own generators. Looting is widespread. Schools and public offices were closed at the beginning of the week with accusations flying between the embattled President Nicolas Maduro and opposition leader Juan Guaidó, who was declared the legitimate President of Venezuela by the National Assembly in January 2019, backed by the U.S. and dozens of other countries in Latin America and around the world. By Tuesday, March 12, the U.S. ordered its diplomatic mission in Venezuela closed and all American personnel to return home. The electricity outage began on Thursday, March 7, when the country’s primary hydroelectric plant at the Guri dam in eastern Venezuela experienced severe problems. The Guri plant generates 80 percent of the country’s electricity. Although the exact cause of the problems that triggered the massive nationwide electric failure has not yet been identified (publicly at least), poor maintenance and plant management over a period of years surely contributed to what is now essentially a grid down, black start situation. It is unknown even whether Venezuela has the “specialists, workforce, and spare equipment available on the ground” that would be necessary to get Venezuela’s electric grid back up and running, according to a March 12, 2019, Wired article. Indeed, as the Wired piece explains, if the country’s grid infrastructure has been physically damaged badly enough or was already in such a bad state of disrepair that attempting a so-called “black start” leads to even more problems, including explosions, then Venezuela is facing a truly dire situation. Perhaps no one has warned about the existential threat to our unsecured grid for as long or with such expertise as Dr. Peter Vincent Pry, who served as chief of staff of the Congressional EMP Commission, on the staff of the House Armed Services Committee, and at the CIA. 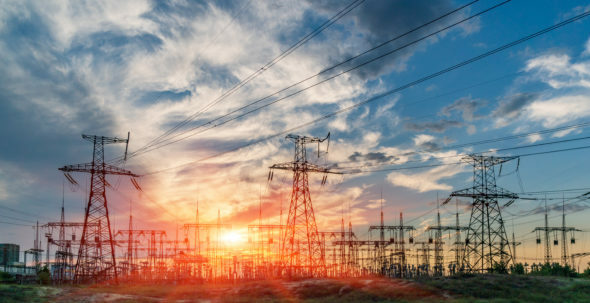 He cites the January 2019 report from the U.S. Air Force Electromagnetic Defense Task Force (EDTF), which calls upon the Trump administration to take urgent action to protect the nation’s electric grid and the entire U.S. critical infrastructure that depends on it from EMP threats. Another senior expert on the EMP threat to the U.S. electric grid is Ambassador (ret.) Henry F. Cooper, who writes frequently and with alarming clarity at the High Frontier website. The U.S. does not have to be Venezuela, either socialist or grid down. But the time to act is now and the example for how badly things can go wrong if we don’t is right in front of us.